How do you know if you’re using the best structural model for communication? Can hybrid models co-exist successfully? 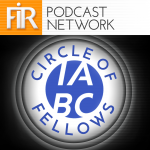 Four IABC Fellows explored the latest thinking on department structures, including how to work with agencies and freelancers (on goal-setting, budgeting, etc.). The panel will also look at whether departments should be consolidated or employ an agency model (with staff embedded in parts of the organization), as well as whether all communications departments should be grouped together, and where they should report. The panel, moderated by IABC Fellow Brad Whitworth, featured Mary Ann McCauley, George McGrath, Barbara Puffer, and Jennifer Wah. Mary Ann McCauley is committed to ensuring people communicate more effectively about their organizations’ products and services. 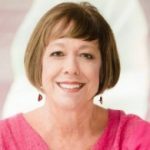 With a specialty practice in crisis management, Mary Ann addresses sensitive issues with timeliness, dignity, and minimal backlash. “Managing communication during a crisis requires common sense folded into a structured process,” she says. Barbara Puffer‘s communications management career spans 45 years, including work in banking, insurance, and telecommunications organizations. She has consulted as Puffer Public Relations Strategies for 20 years and previously was Corporate Communications Manager at Barnes Group for 13 years. While consulting, she was also associate professor of communication studies at UMUC for 13 years. Brad Whitworth, the moderator of the panel, is a communication manager at Hitachi Vantara. A communication coach at the Stanford Graduate School of Business, Brad was most recently an executive communication manager at Hewlett Packard Enterprise. Before that, he was senior communication manager at Cisco Systems. Before Cisco, Brad led communication programs at HP, PeopleSoft, and AAA. He earned undergraduate degrees in both journalism and speech at the University of Missouri and an MBA at Santa Clara University. 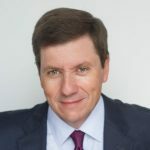 A former broadcaster, Brad has made more than 300 presentations to executives, communicators, and university classes around the world. Brad has a long history with IABC, including serving as chairman of the international board and president of two local chapters. He is one of the authors of The IABC Handbook of Organizational Communication.